This extension implements an animated slide out menu. The menu icons slide out after clicking the hamburger icon. And when hovering over the icon the item’s text slide out as well. 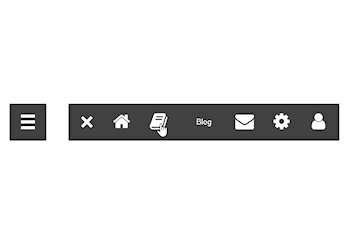 To make the menu even cooler, the hamburger icon transforms into a close icon.